On the heels of their successful 2018 Project Innovation grant challenge that resulted in 4 local organizations receiving a total of $225,000 in grants, WBTS, WNEU and necn today announced their grant challenge will return in 2019. 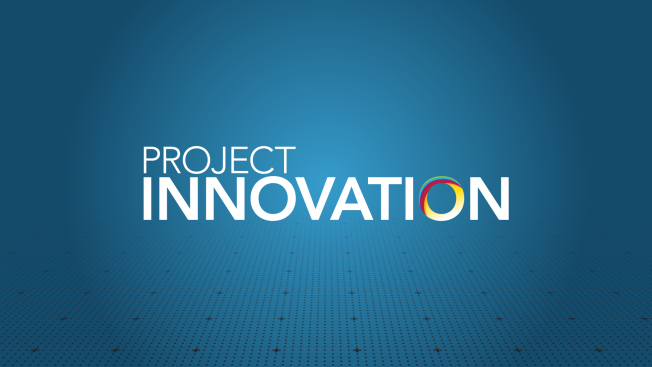 Project Innovation is a competitive grant program that is presented locally by NBC10 Boston, Telemundo Boston and necn in partnership with the NBCUniversal Foundation. Next year, the stations and the Foundation will present a second round of $225,000 in grants to local organizations that are addressing local community issues through innovative solutions around four grant categories. Applications for Project Innovation open on Jan. 11, 2019 and close on Feb. 15, 2019. Project Innovation 2019 grant winners will be announced by the stations in April 2019. In addition, the stations today announced the launch of their new dedicated Project Innovation websites that provide program, rules/eligibility information and grant applications in English and Spanish, to help more bilingual service organizations access the information they need to apply and be considered for a grant. For more information and to preview the grant application visit www.nbcuprojectinnovation.com. To access information in Spanish visit www.nbcuproyectoinnovacion.com. Project Innovation 2018 winners, including Year Up, Inc., Latino Stem Alliance, The Children’s Museum and iCivics, Inc., have leveraged the grant funding presented by the stations to create community solutions around youth education and community engagement, youth employment, civic engagement and STEM education. •	Next Generation Storytellers: Programs that empower the next generation of storytellers and utilize media to drive social impact. •	Culture of Inclusion: Programs that seek to build pathways for diverse and equitable communities. •	Youth Education: Programs that equip youth with the tools they need to succeed, including STEM/ STEAM education. •	Community Engagement: Programs that enable individuals to engage and volunteer in their communities. Project Innovation 2019 grants are available in select markets serviced by NBC and Telemundo owned stations, including New York (WNBC, WNJU), Southern California (KNBC, KVEA), Chicago (WMAQ, WSNS), Philadelphia (WCAU, WWSI), Dallas-Fort Worth (KXAS, KXTX), Boston (WBTS, WNEU, NECN), Hartford, CT (WVIT, WRDM), Washington, D.C. (WRC-TV, WZDC), Miami-Fort Lauderdale (WTVJ, WSCV), San Francisco Bay Area (KNTV, KSTS), and San Diego (KNSD, KUAN).